One Hundred Pushups! 100 Push Ups a Day! I have been rotating 7 of the testosterone boosters and things have been going great for me. My mild erectile dysfunction has improved, and I have experienced a noticeable increase in energy and stamina. My question today has to do with exercise. For the last 3 years, I've been doing 100 pushups a day as my only form of exercise, aside from daily walks with my dog. So far this has been working for me, but I'm curious how you feel about this. Would you make any modifications to this routine? I'd dump the routine entirely! At this point, you'd be just as well off banging your head against the wall 100 times. You may be hanging onto some of the muscle you gained in the past, but you certainly aren't building any new mass. In the symmetry department, you're chest heavy, but shoulder, back, and arm weak. Repetitious, mono exercises, are not what spectacular bodies are mode of. The body needs to be challenged, tricked, and coerced constantly, in order to experience constant improvement. Get into a rut, like the one you're in now, and gains will be almost non existent. You need to cycle your routines, exactly like you do your natural testosterone supplements to avoid these problems. Do this, and your body will muscle up, and lean down so fast, you'll be amazed. I actually do a modified version of your 100 pushup routine about once a month. In a 10 minute time span, I go all out with the pushups. The difference between you and I is, after I finish this routine I'm done for a month or so. When I exercise again, I move on, keep the body guessing, so it never knows what's coming. Since the push up routine is upper body, I'd most likely do a squat routine next. The key to these routines is, they are always brief, always random, and always very intense. These are the three points you need to keep in mind as you design your routines. I want you to do something right now. Go get your digital camera, and take a shirtless picture of yourself. Then, follow the system outlined above for a full month, then take another picture. When you place the two side by side and have a good look, I guarantee you, you'll be sold for life. 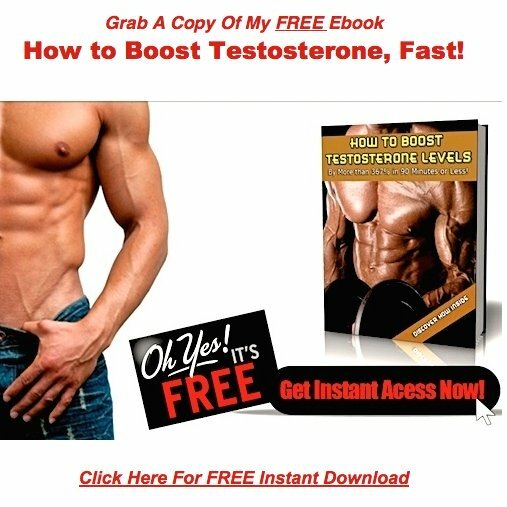 Return to Testosterone and Muscle Feedback!.